Do you like it rough or gentle? Of course we're talking about your bath scrubber! 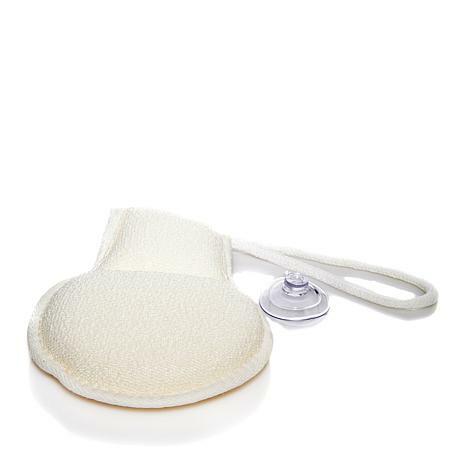 This clever option has two sides with different textures to accommodate different parts of the body — soft cotton for sensitive areas and firm texture for exfoliating. 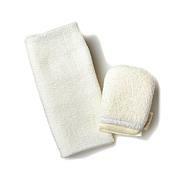 So when you need a shower (cold or otherwise), reach for Your Dual-Texture Scrubber. Think my husband will like this. First, I'm glad that I ordered this. I didn't really get how the suction hook works, but this wasn't a problem since the sponge has a loop to hang on anything. 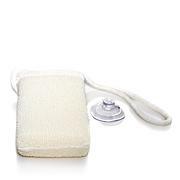 Also, I do prefer more texture on a scrubber - it's hard to find one that I would consider a real scrubber. Having said all that, what I really like about this is the thick, rich lather it produces. It's great, no matter what soap or body wash I use. Ok.. Not worth it , come on..this should be nicer, We buy from shopping networks because we think the products are better. Sorry it's not.